NXT Generation Angle Heads by Romai are designed for all machine tools and machining centers for all tool holder systems. They feature super or rough finishing up to 10,000 Nm output torque. 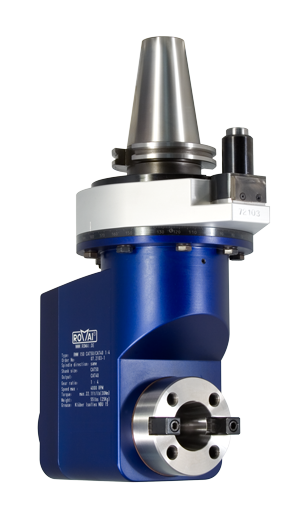 Angular heads by Romai minimize the number of tool clampings, reduce machine set up time and simplify elaborate machine processes. Determine if Romai angle heads are right for you. For over 50 years, Romai has been developing specialty angle heads for medical, automotive, wind energy, aerospace industries; household appliances, solar energy, tool and machine building. If you have a specific application that requires specialty angle heads, live tools, multi-spindle tools, please contact us.